In the past, it was always said that those with full-time jobs were a step ahead of contractors. However, these lines are quickly becoming blurred with the rise of the gig economy, which is rapidly transforming the traditional work structure of our economy. While the traditional way of working has involved the conventional “9 to 5” and working your way up the corporate ladder, now some skilled workers are opting out of this cycle and creating their own path. 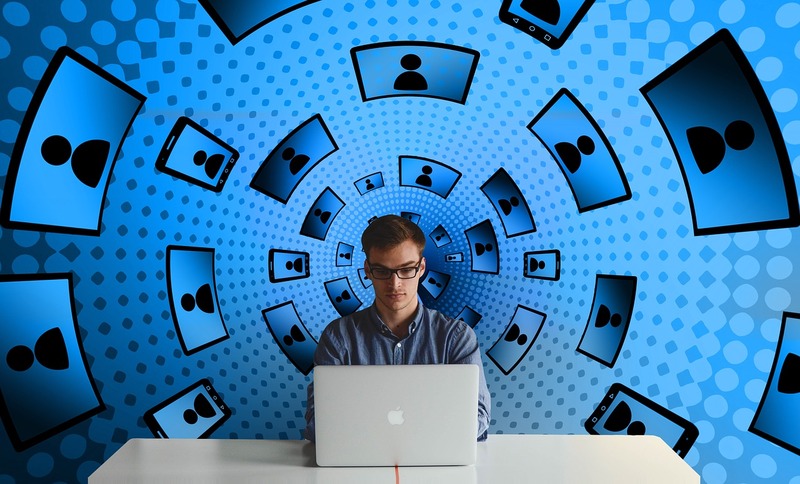 The future of work is being transformed by workers choosing flexible hours, location-independent or remote work, and the increasing demand for short-term contractors. The big question is who actually wins in this economy? A study from 2015 reports that 20-30% of the working population in the USA earns through independent work. This is the highest percentage yet, but it’s not expected to end here. For the past few decades, there has been one single “right” path for grads. You were expected to choose one job, stick with it for 40+ years, and retire. Today, you’ll see recent grads picking up all kinds of side jobs to make ends meet and expand their skills. In fact, this has gone beyond just making ends meet. Now, it’s actually the new normal for many Americans. Companies across industries have a higher demand for specialized experts, and they’re looking for freelancers to fill these gaps — not just freelance designers and developers but also freelance scientists. That means workers of today have more freedom to design a work/life balance that works for them. There are a lot of misconceptions about the reality of freelancing. Many imagine freelancers to be struggling to always land small side jobs. They’re always hustling from one things to the next, and they don’t have a reliable source of income. But that couldn’t be further from the reality for most established freelancers. Those with in-demand skills and the ability to market themselves in the digital world have a higher earning potential than they ever would have in a traditional workplace setting. Recent research (as depicted by the graph below) suggests that highly qualified workers, including PhDs and postdocs, are freelancing as well. In fact, Kolabtree has over 5,500 freelance scientists from the likes of NASA, MIT, Cambridge University, Stanford University, and more. What’s even more important in some cases is their increased freedom and ability to design their own workdays. It’s easy to keep track of billable hours using this website, manage task lists, and collaborate with clients and team members worldwide, thanks to various digital tools. 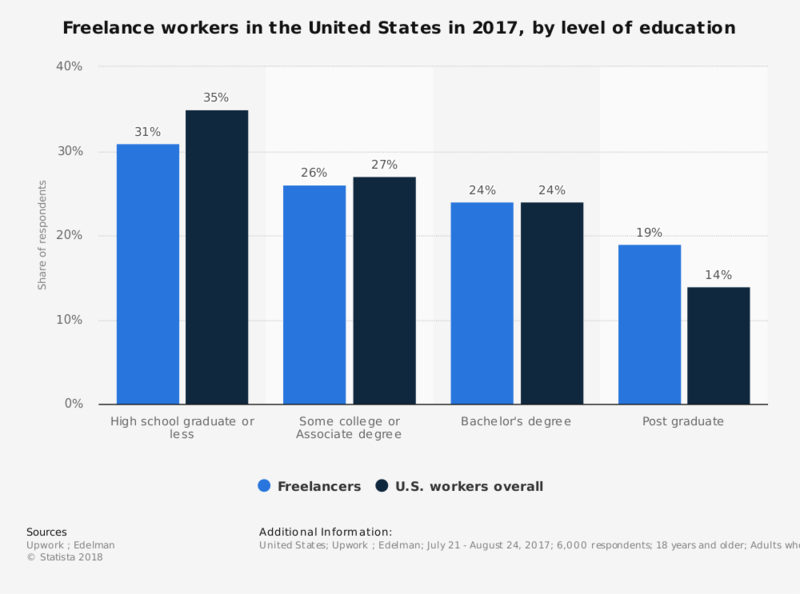 The graph below shows that the top two reasons for taking up freelance work was to earn extra money and to have a flexible schedule. 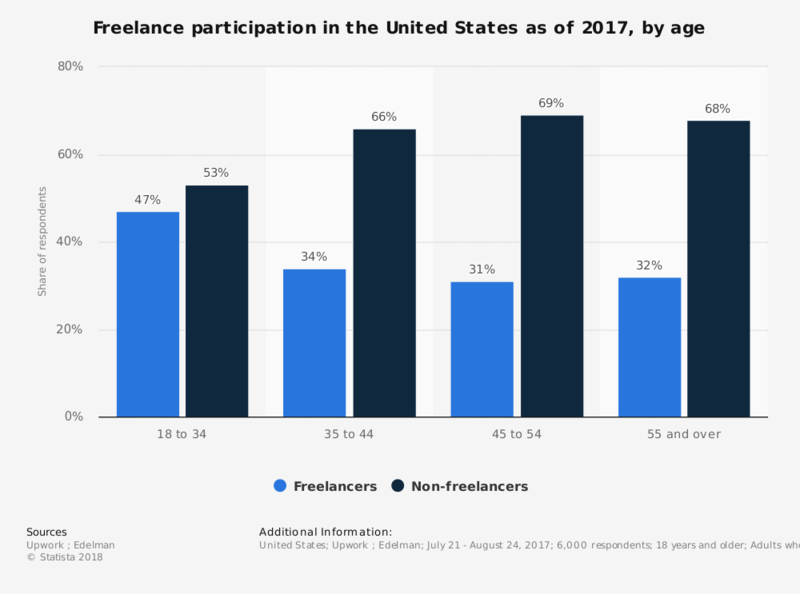 With freelancers taking so much of the cake in the gig economy, you might mistakenly believe that that leaves companies as the losers. If qualified workers are leaving the 9-5 cycle, then who will fill their offices? In fact, this is good news for all types of businesses. There is greater access to qualified experts who can help with flexible projects. In the past, it would likely have been impossible for a small business to hire a full-time employee to consult on a specific project. Today, they can simply hire this candidate on their own terms, as needed. This is a more affordable system than hiring full-time employees, and it gives more options for even small business to use the best experts. By hiring short term contractors, companies are even tapping into the benefits of hiring virtual employees. In fact, food companies worldwide have cut costs of more than 50% by hiring PhD-qualified freelance food scientists on Kolabtree. Finally, we’re left with wondering if there is anyone who loses in the gig economy. It’s clear that this new system gives rise to flexible hours, remote work opportunities, more paid opportunities, and more experience options. But it’s also worth noting the particular challenges. There are a couple of drawbacks to moving away from that traditional 9-5 path: like insurance benefits and the stability that comes from working in the same office every day. Also, freelancers have to make sure that their online portfolios and profiles are up to date, they do their work well, and they collect reliable feedback from clients that they can showcase to be a step ahead of the competition. There is a shortage of many in-demand skills, and this means more people than ever are needed to fill this gig economy. However, in the next few years, we can expect to see these challenges continue to be overcome by the next generation of gig workers. Ultimately, there are more winners than losers in the gig economy. New technology makes it easier for experts of all backgrounds to connect with projects that inspire and motivate them — a win/win for both parties. Need to hire a freelance expert? 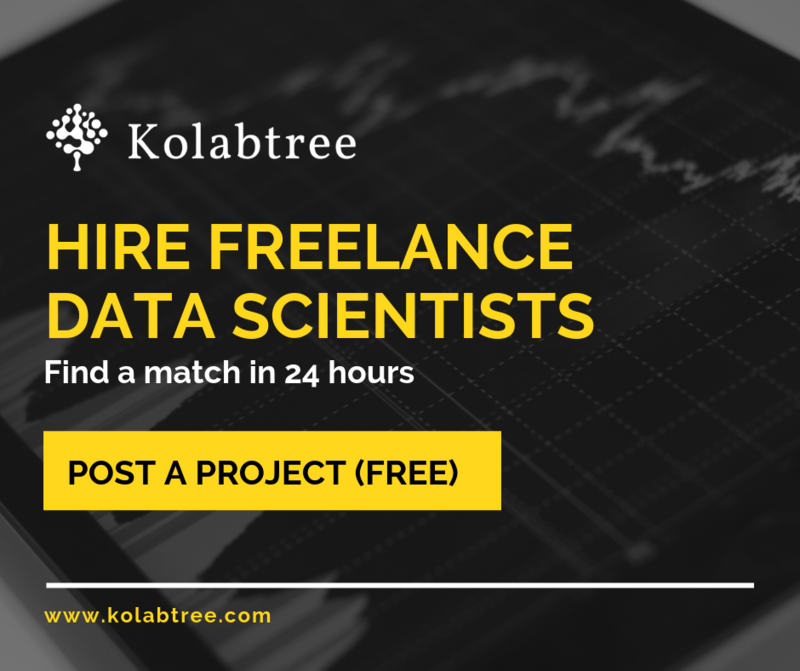 Post your project for free on Kolabtree and access 5,500+ freelance scientists from all over the world.